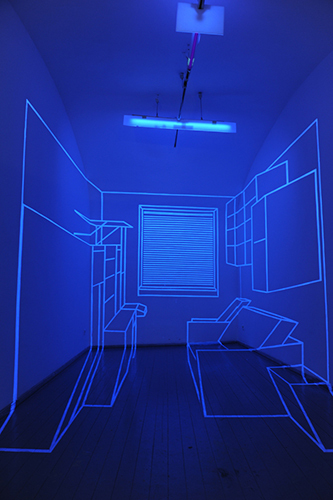 In 2011 I've made life-size drawings with UV-paint of my bedroom onto the gallery walls. 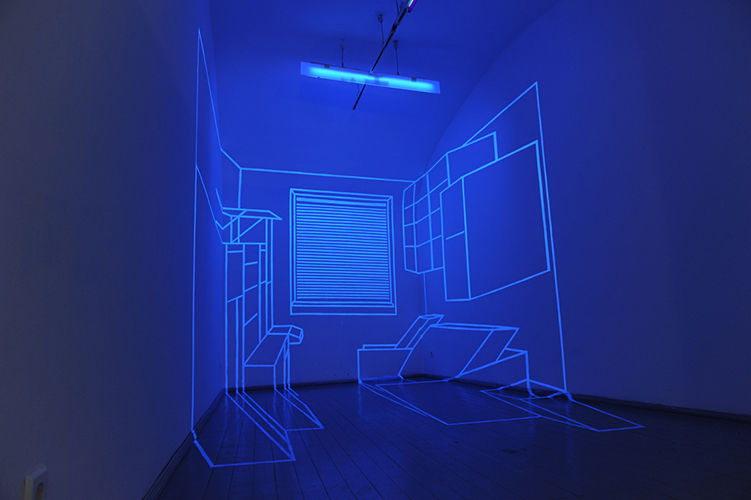 The exhibition consisted of two installations. 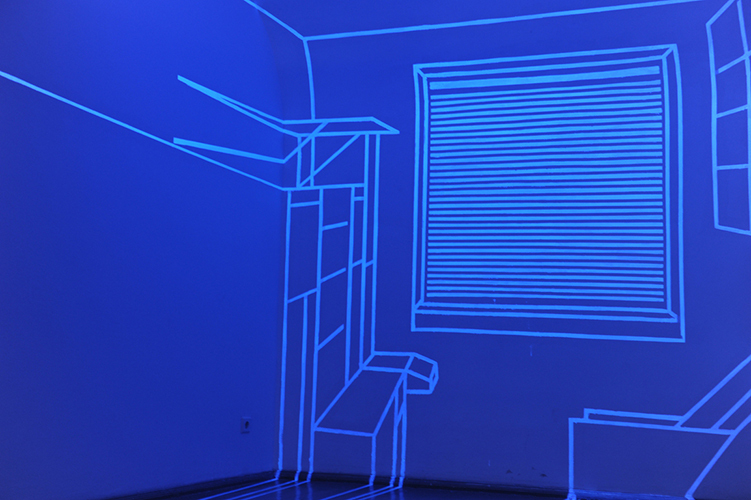 In the inner room I've projected the lines onto the walls and I've painted the drawing of 3 cm wide lines with UV. 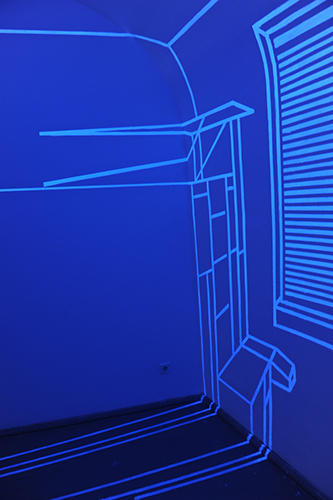 The drawing was anamorphical, you could see the correct view from only one position. 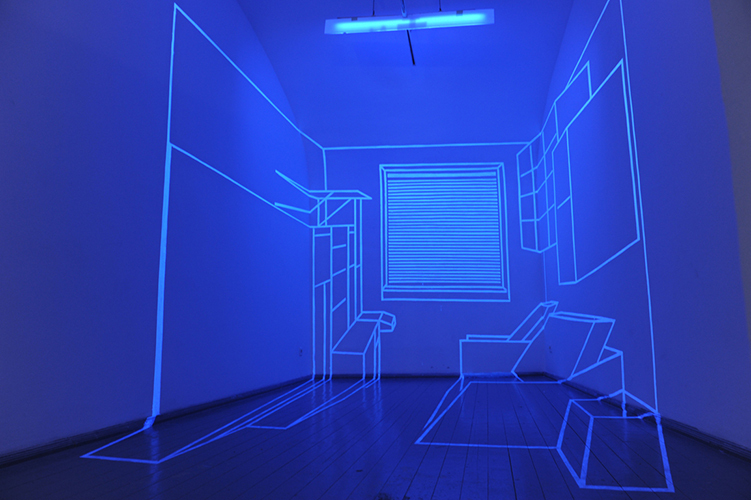 The connection between artist and the audience was establshed only if the viewer occupied the adequate position in space. 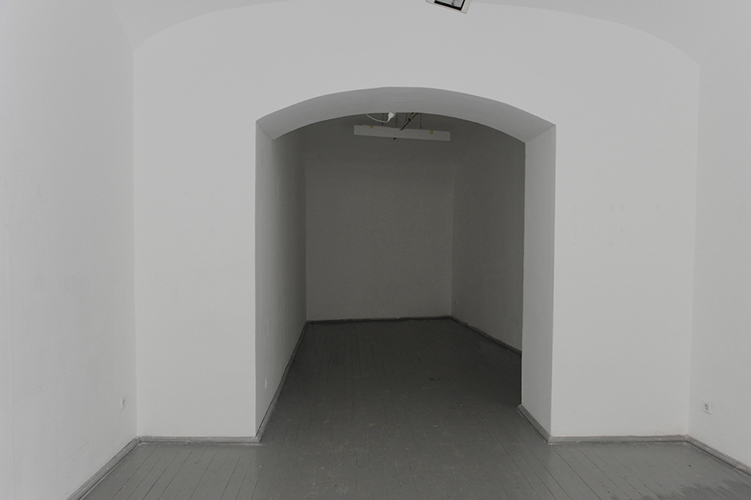 I did not want anything in the exhibition space that belongs to the work of art (e.g. 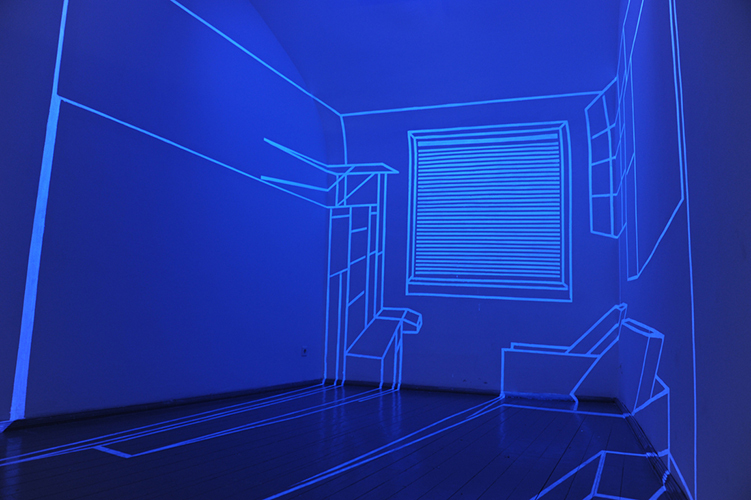 any object or spatial extent), only lines on the walls. 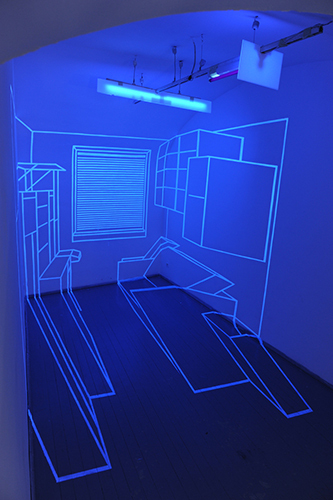 The illusion of the room had to be created so that the drawing did not leave the plane. 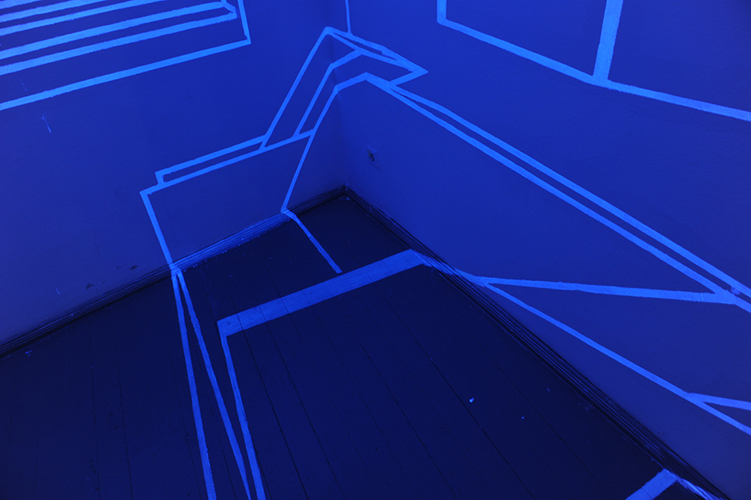 I wanted to make an installation that consists of traditional 2D drawings not of real 3D lines in space (e.g. 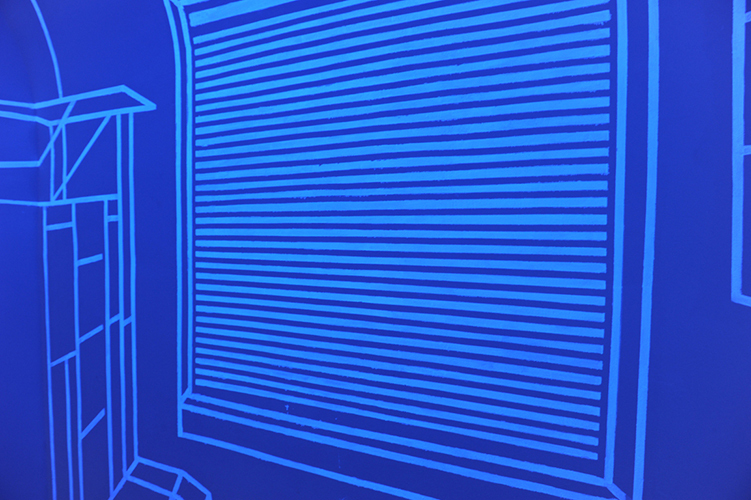 wires or strings). 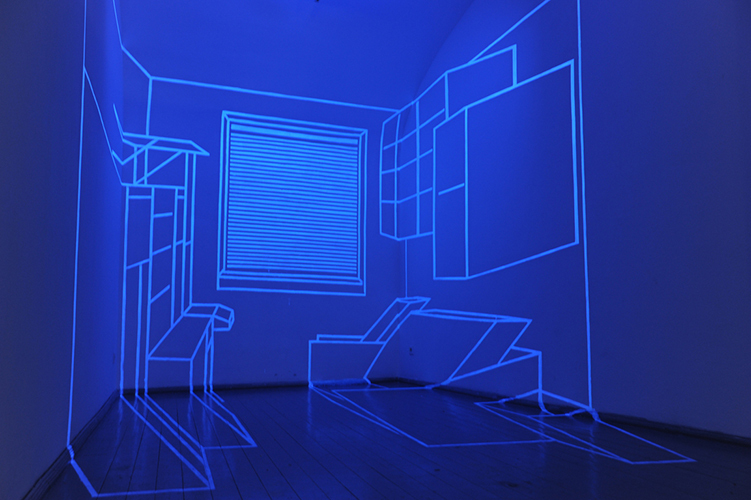 The two-dimensional line never leaves the surface, but under certain conditions it becomes detached and creates a three-dimensional illusion. 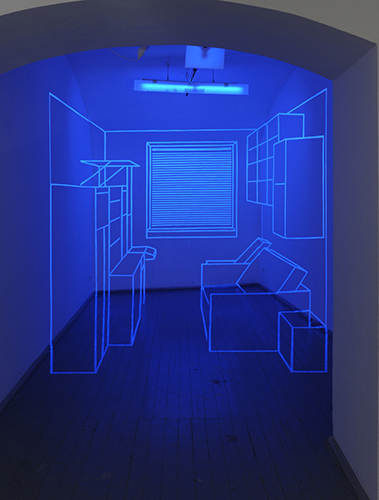 Without UV light the gallery space was to be seen, with UV light the illusion of another space.